Blog | Bartok design Co. Blog – Page 13 – Bartok design Co.
Is the ofuro free standing? Or is it built into a ledge? Since it has a slanted edge, do you see it from outside? 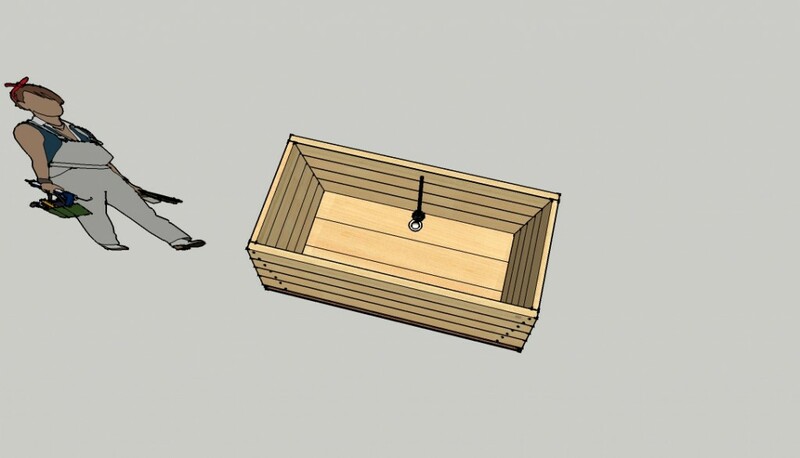 We had problems explaining the image to the client so we resorted to sketchup and everything was easy! 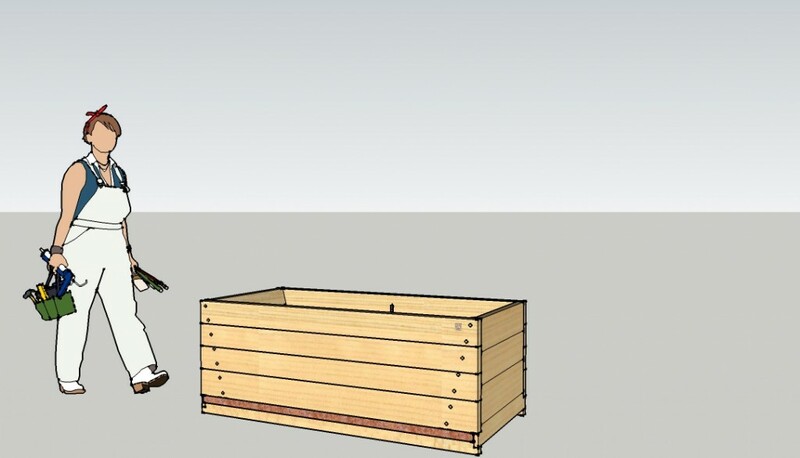 It is drafted quite roughly, but if you want you can download the model below from the sketchup warehouse. We also have another couple of models in the warehouse. Search with “bartok” as keyword, you should find them. 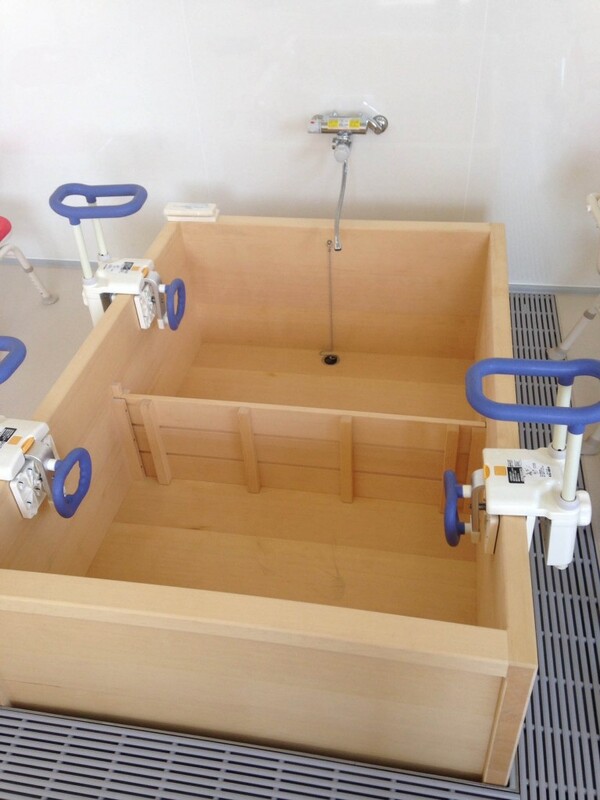 Nowadays wooden bathtubs are popular in rehabilitation facilities and retirement homes for the elderly. 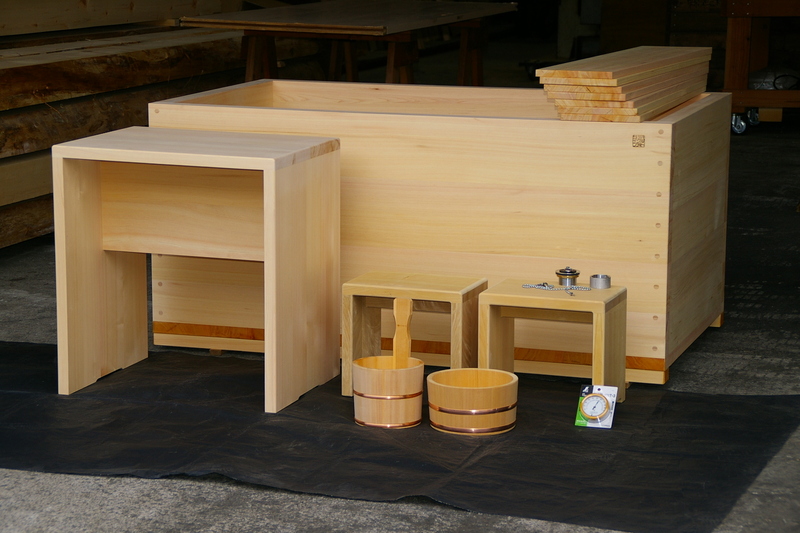 Wood is soft and warm and it is very appreciated especially by people with pain or physical limitations. Here below are two examples. 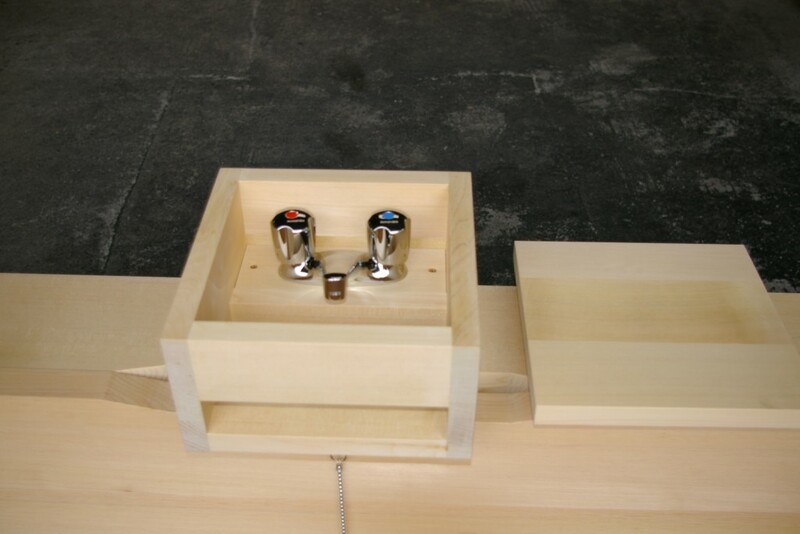 it is easy to mount railings or neck holder fixtures. 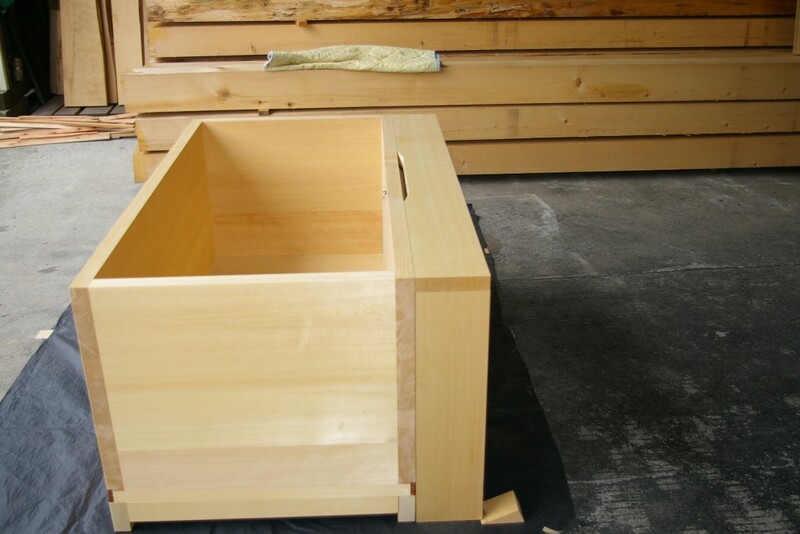 Also, it is common to install a movable partition inside to adjust the size. This way it can be used by multiple people as well as singularly. 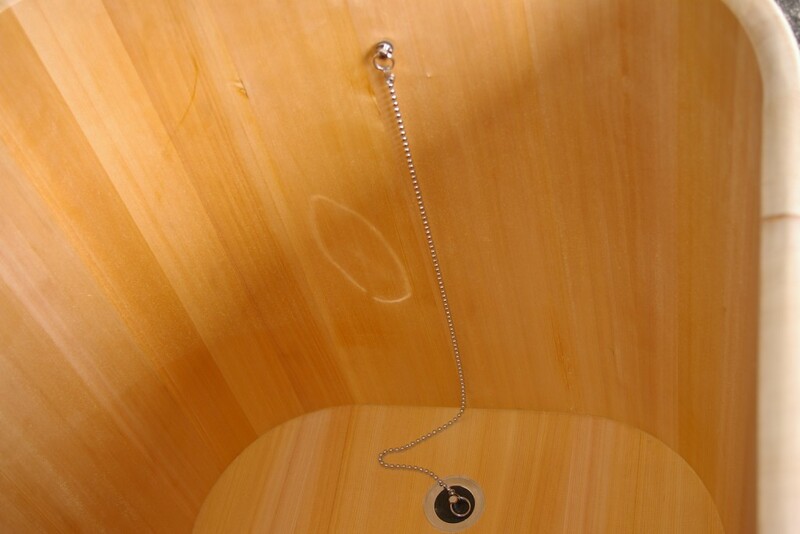 The worry is that if the tub is too big, elderly people may slip inside the tub and drown. For this reason it is recommended to use a size so that you can reach the back end of the tub with your feet. This thinking is recommended in general while it is not really necessary for an adult/fit person. 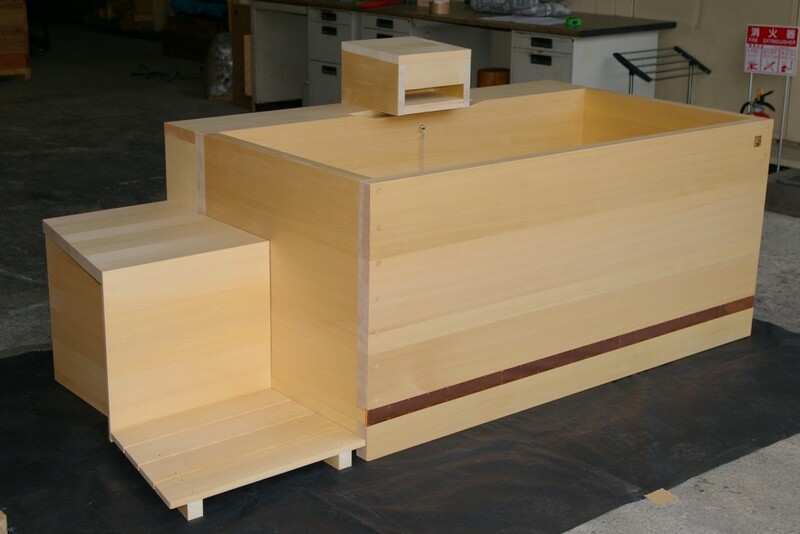 I am interested in a custom hinoki sushi bar counter ( 21’x2′) for a restaurant. I would like to find out a rough estimate (cost of the item as well as shipping, tax, etc). Please let me know. 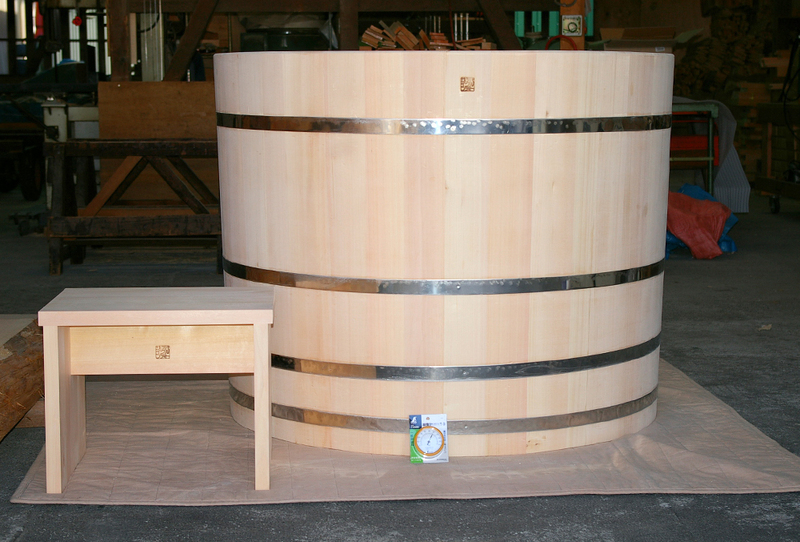 Are you looking for a counter in solid lumber or veneered? Let me give you a rough idea about the 2 options. 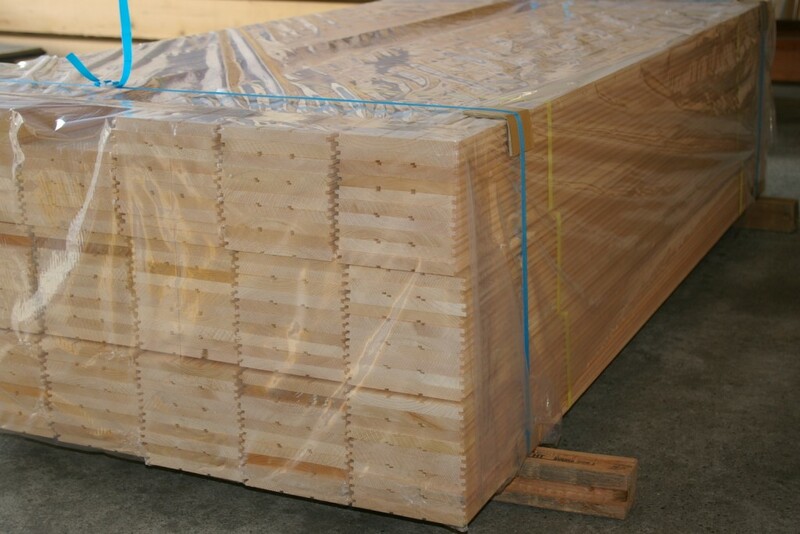 it is difficult to find lumber to match exactly the request. You would have to cut the length or the width which is a waste. 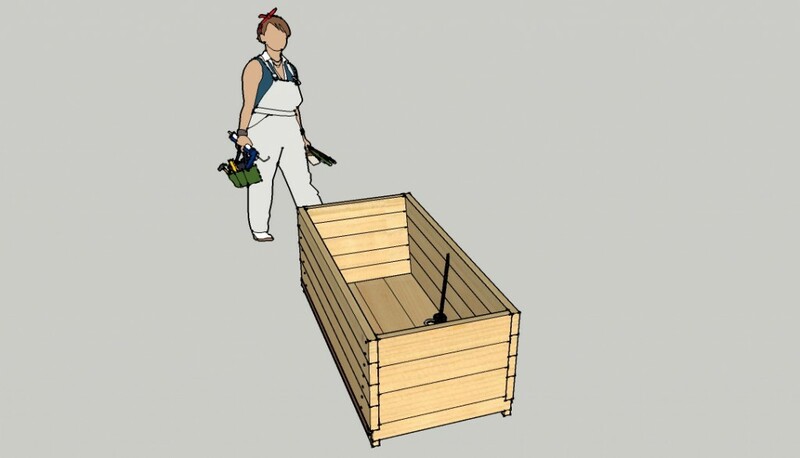 Usually designers look for a lumber of a size close to the request and then match the design of the shop. 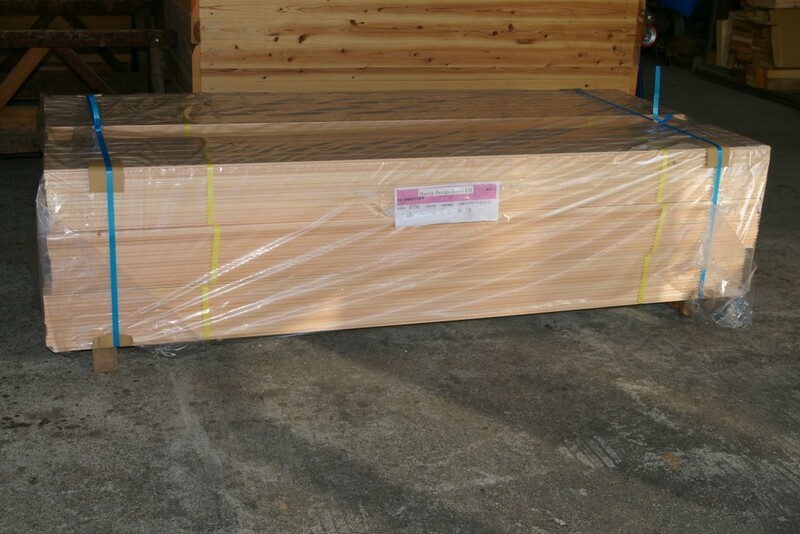 For your reference a lumber 20 Ft. long would be around 8-10 million jpy . 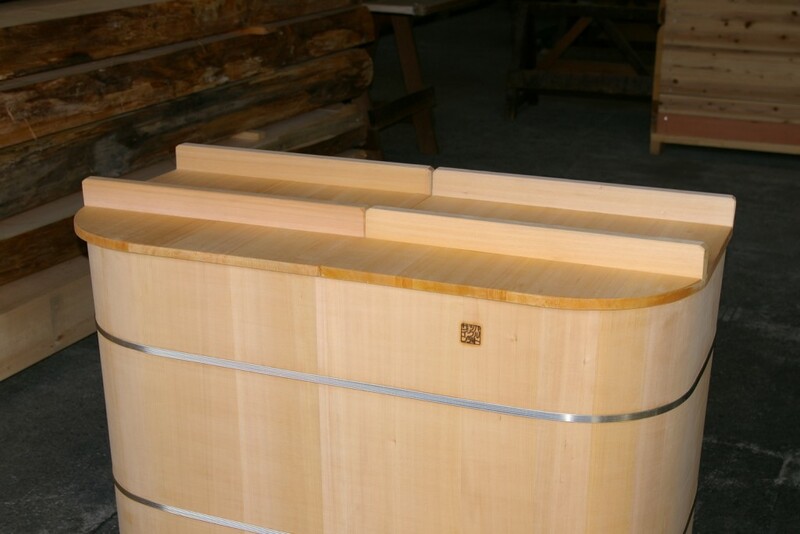 2 ) laminated counter covered with hinoki thick veneer(5mm). 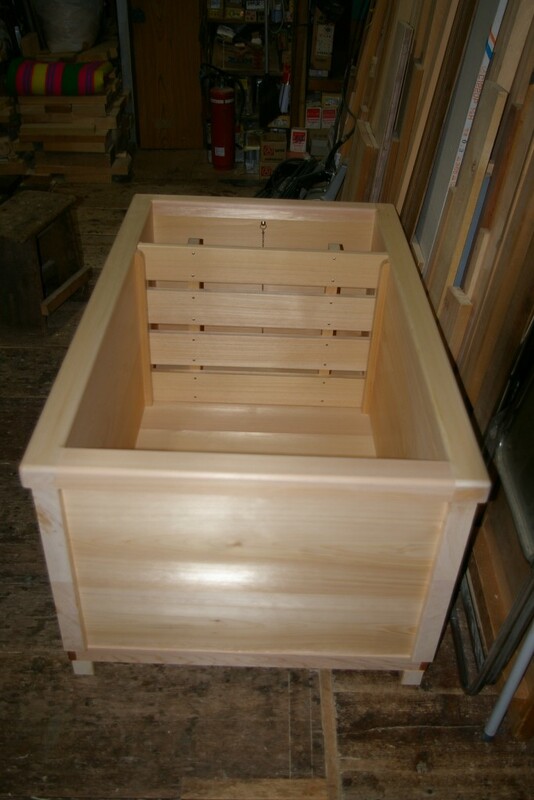 In this case of course we can make a counter to match your sizes (maximum length is 22Ft.) in this case the cost would be about 3 million JPY. 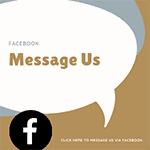 We are looking forward to working with you and remain at your disposal for any question/problem. We were contacted by an architect renovating his home in Singapore. The client was keen on hinoki material but did not like the traditional “white-pink melange” look of japanese evergreens. 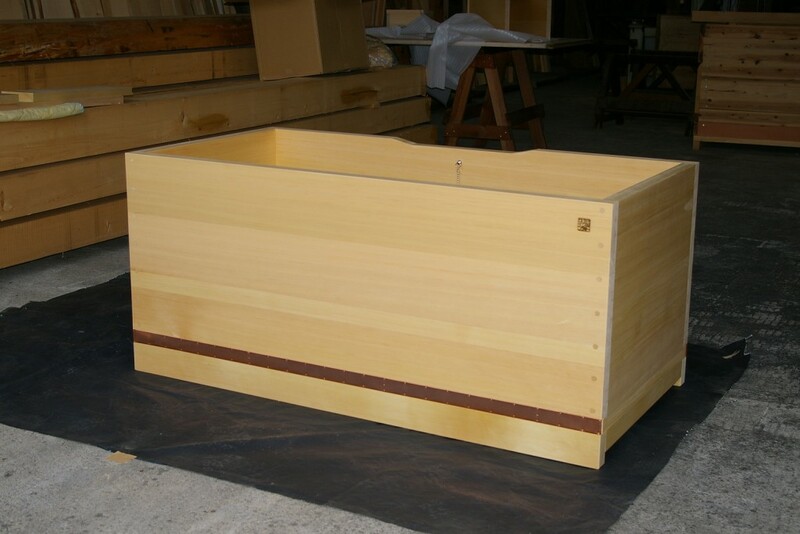 After considering several options, the client opted for a more expensive “all heartwood” material. 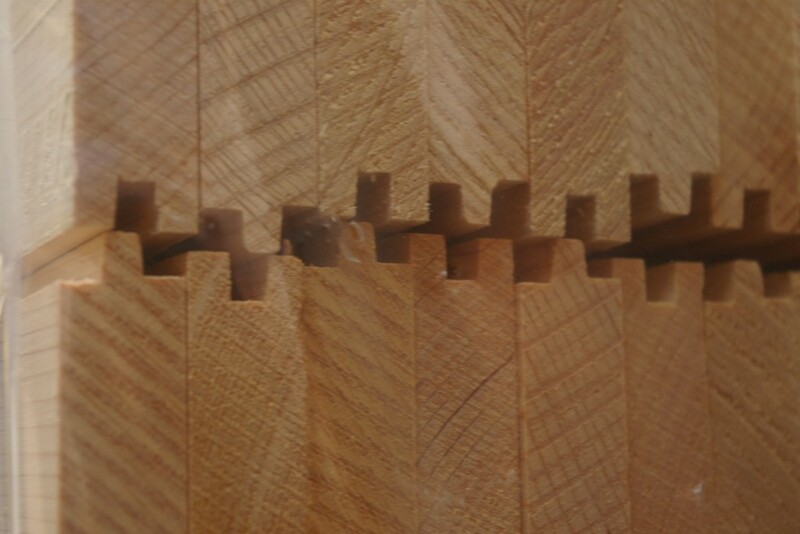 The sapwood is eliminated before sawing and milling the planks so the color is more uniform and the lumber itself is harder. 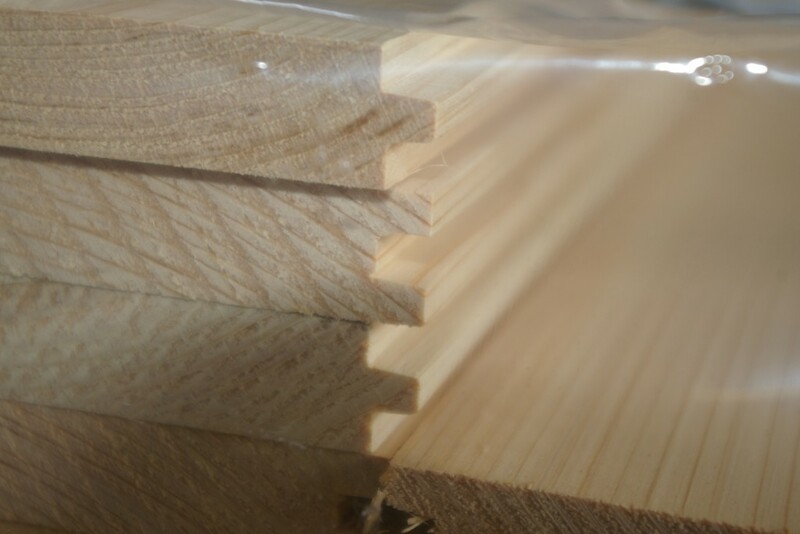 But we agreed that everybody would manipulate and install the planks with the utmost care and were able to manufacture the custom “perfectly flat” product. 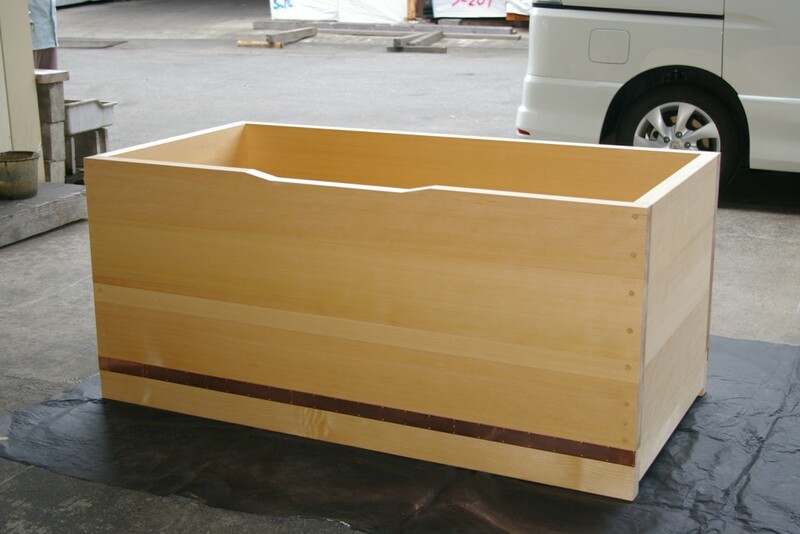 size: 2000mm x 150mm x 15mm. I am looking forward to seeing the completed room! has stayed in pretty good shape, although it does feather occasionally. 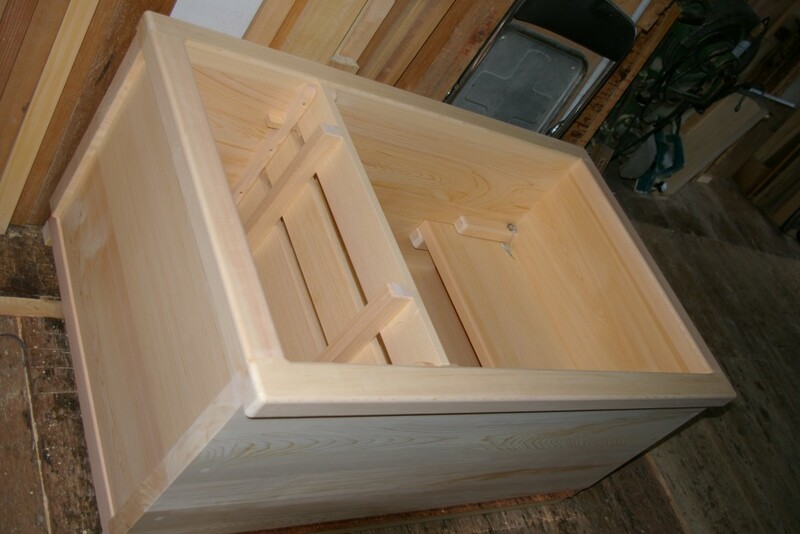 sides, but I am not sure it will be easy to retrofit. 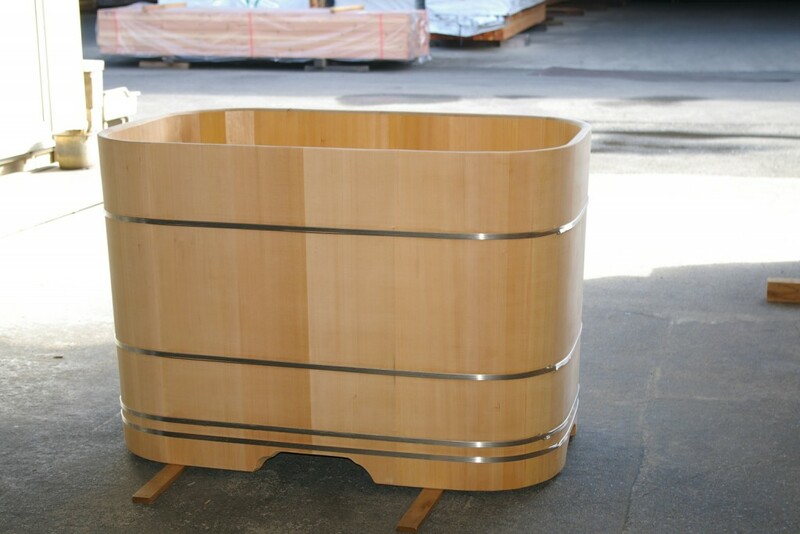 We made barrel type ofuro (maru-buro) with almost straight edges even if some slant is needed to cling on the metal bands. If you like it slanted, no problem: this is the normal shape.